Hotel management has become a trending and popular stream amongst youngsters providing glamourous job opportunities and diversity to work at different locations. No doubts, the hospitality industry has emerged as a dynamically growing industry in past few years. For taking up the path of hotel management as career, students need to do Undergraduate & Post graduation courses in hotel management. With increasing culture of travel & tourism, hospitality industry got a great push for expansion. We all are very much familiar with big hotel chains like Oberoi, Taj, Marriott and many other luxurious five-star hotel chains across the globe. To associate and make career with such big names, an individual need to be a qualified hotel management professional, which is the first and foremost requirement of big hotel names. With the help of hotel management entrance exam coaching, students get great help in developing various skills required to clear the entrance exam. Also, coaching helps students in focusing and improving their weakness on time and score better in the examination. Under right guidance and expertise, students get ample of time to focus on each subject or section of examination with deep analysis. 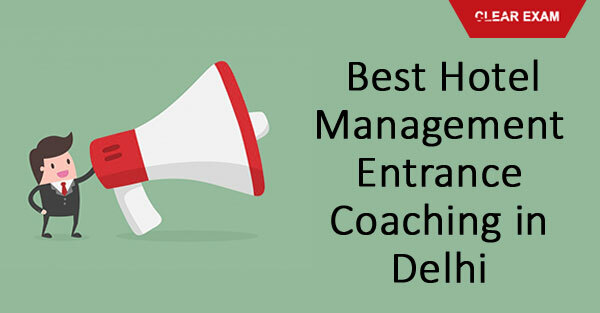 Since IHMs (Institute of Hotel Management) in India are the best institutes to make career in hotel management, students will get great help with coaching in focusing on clearing the entrance exam of NCHM JEE for admission in IHMs. To explore more about the coaching classes for hotel management entrance exam, courses, syllabus or any other info, visit Success Mantra’s Hotel Management latest articles section.